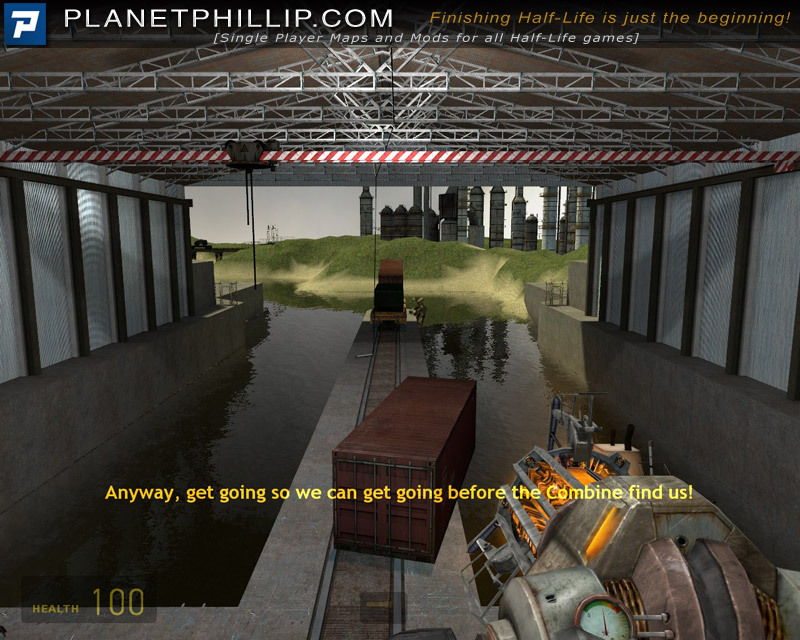 With the Gravity Gun, a clever and resourceful rebel and your intelligence, is it possible to escape from the Combine? 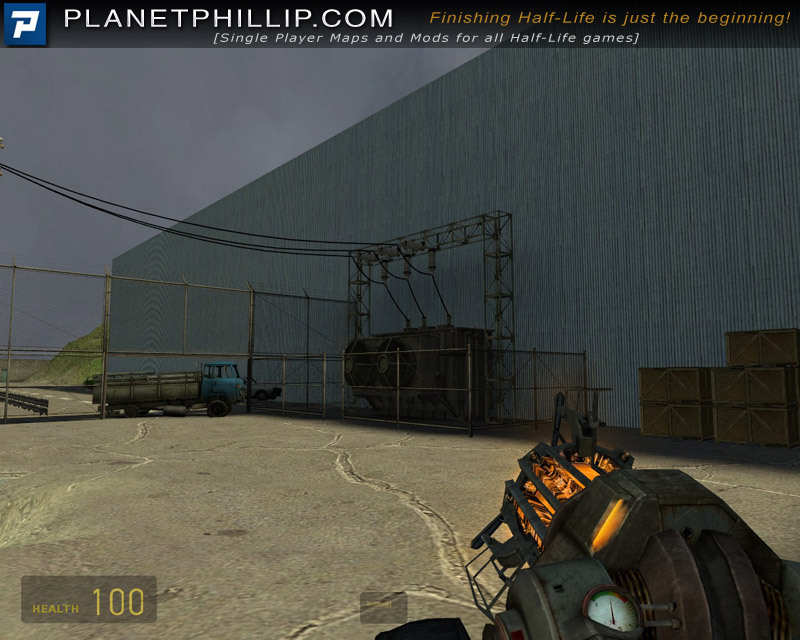 Rat’s nest is a single-player map for Half-Life 2, built and polished over a four month time period. 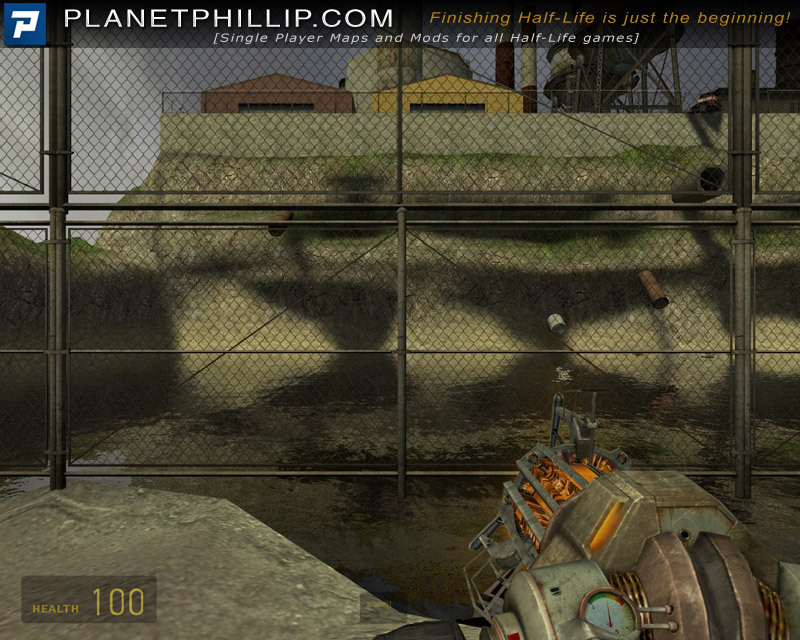 The map continues off of my previous Half-Life 2 map, Down the Drain. 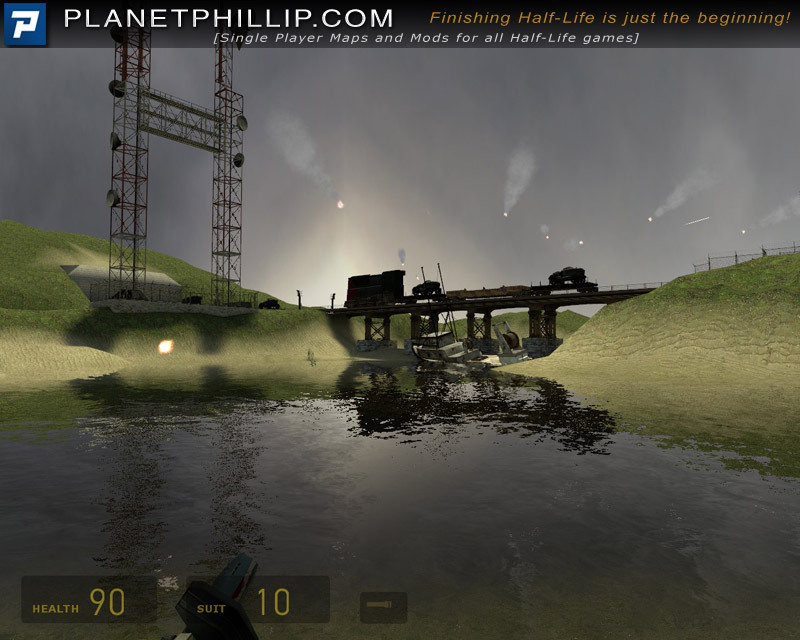 This map focuses on non-confrontational combat, allowing the player to defend against Combine forces without actually engaging in direct combat. 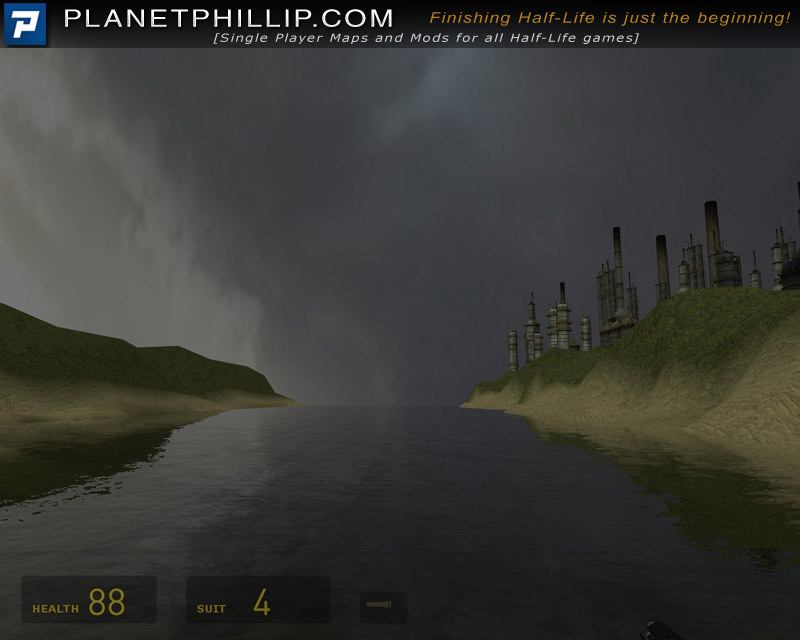 This is accomplished in two ways, with two new mechanics. 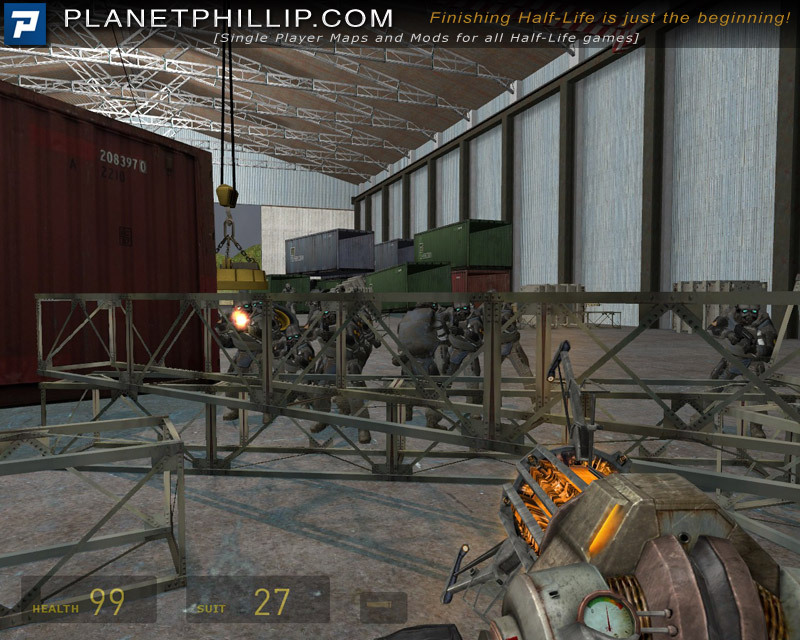 The first of these is a warehouse with a gantry crane (using the magnet), where the player must fend off increasing waves of combine forces. 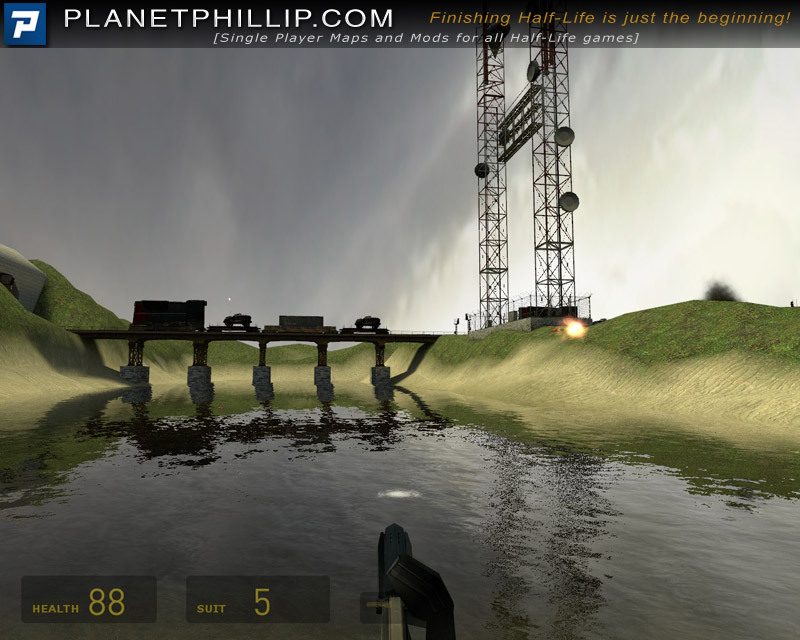 The second is a rail-based water section, with an NPC piloting the boat and the player manning a rocket turret. 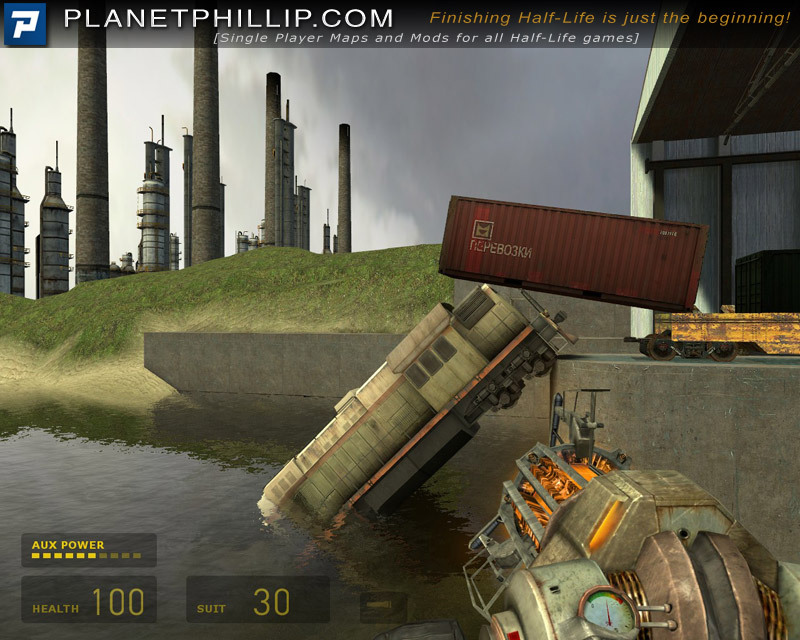 While the player is rarely any any true danger, the events occurring during the level give a sense of urgency and potential danger, urging the player to action. 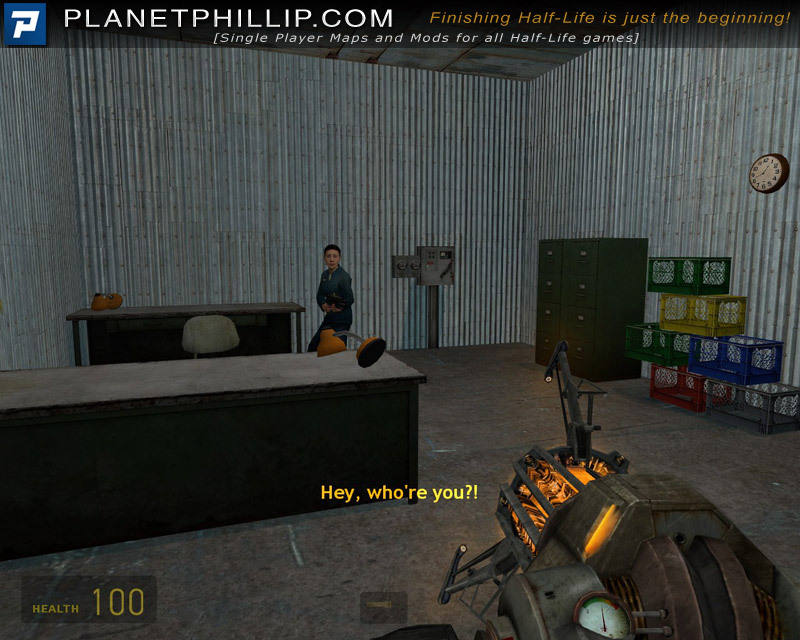 Copy sp-rats_nest.bsp into your Half-Life 2: Episode Two Maps folder. Open the console and type map sp-rats_nest. I’ll try and create on this weekend. 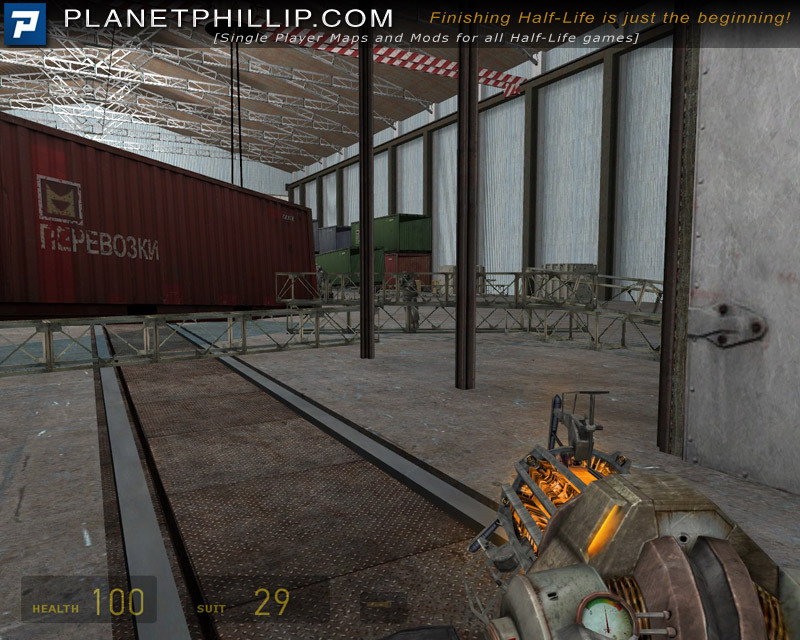 The amount of combat is almost non-existant, especially if you position the items in the main warehouse carefully 😉 But that’s not the point of the map! 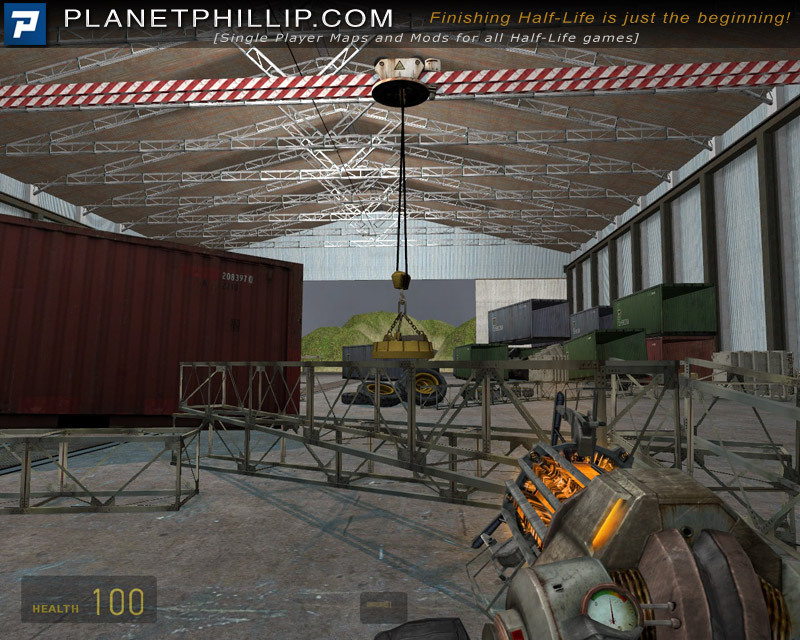 What I liked about it was the crane use and the fact it only had the Gravity Gun. For me the Hall Of Fame is a way of saying “play this because it’s either great or interesitng”. In this case it’s interesting. There’s way too much text on the screen and I missed some of it, don’t really understand why it can’t have voice acting and before you say because of the lip sync I’d rather have voice acting with no sync then text! The last section requires you to ride the boat and fire. I honbestly don’t think I hit anything, so maybe I’ll play the last part again. Can anybody tell me where the .vmf file goes? The map keeps crashing on me when I get in the rebel’s boat. The .vmf file doesn’t go anywhere. It’s the map’s source if mappers want to look at the construction. It crashed on me once too at that point. It was certainly interesting! The crane interface was a little clunky, and I think a few of those containers were made out of rubber… but certainly an innovative idea executed well. The missiles at the end however just went their own way, and when the boat turned, it sometimes yanked me off the mounted weapon. 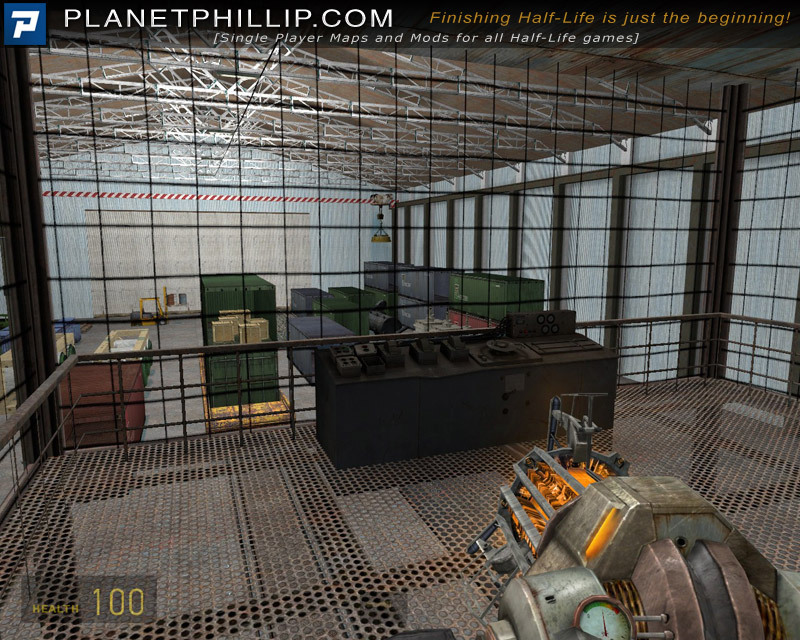 If you like non-combat puzzles, you’ll love this map. Otherwise…..
I’ve made five attempts now to board the boat but it’s crashed every time. I won’t be trying again. Shame, because I was quite enjoying it. To be honest the last part is just a ride anyway. Actually Mike would you like me to send you a save just after the boat ride starts? Very innovative. Very good indeed. At my 6th attempt I finally got the containers in the right positions. This take a bit of working out but makes for a goodly challenge – very satisfying. Can’t seem to release my self from the crane. Noclip doesn’t work either. Great Ideas in some of these lately. I know these guys are doing these for their school projects, but I can’t help but feel that we could repay them in some small way. Maybe some sort of contest with us donating a small pot of cash and voting for the winner. Use the “use” key. I think that should work. No that doesn’t work for me. It works to start using the crane but not to stop, I’m stuck there and can’t follow the girl. Would you like me to send you my saves? Brian, you have to turn away from the console (face the doors behind you) and press the “use” key. That doesn’t work. must be something in my setup? 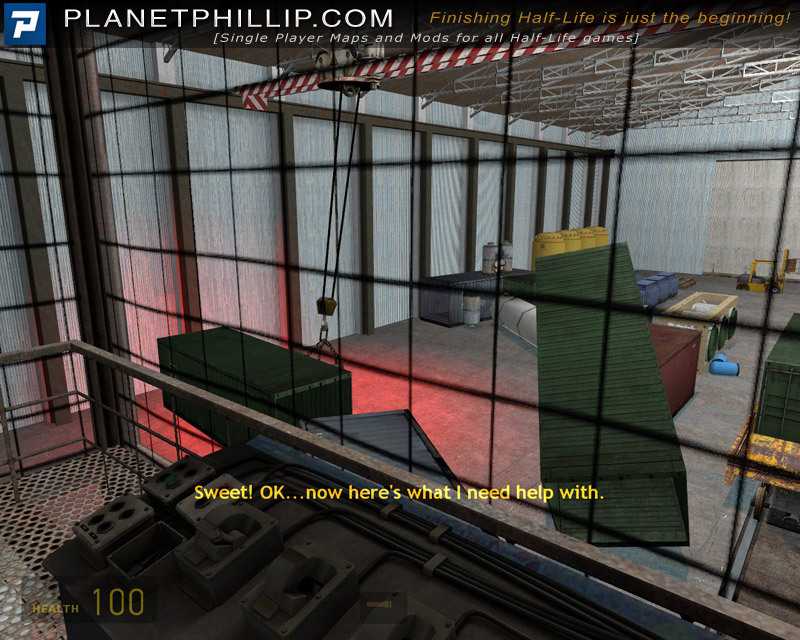 What spoilt it for me was the unpredictable behaviour of the crane and the things on the crane, the author made a comment about this, and how it was unfixable, but on the whole the mod is playable. 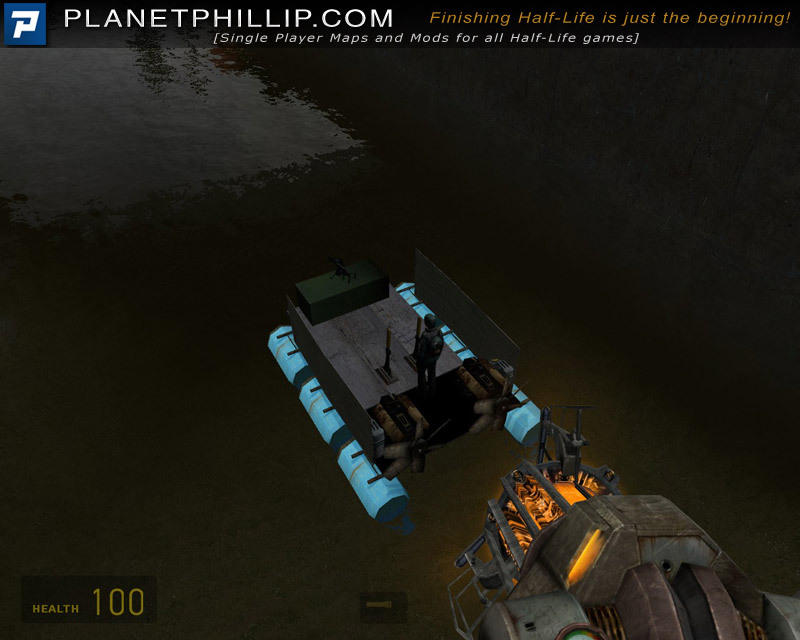 And the boat ride at the end needs no player input, just keep your head down, even when I could fire the rocket launcher I couldn’t actually hit anything. It’s like the author got bored and just wanted to finish as quickly as he could. 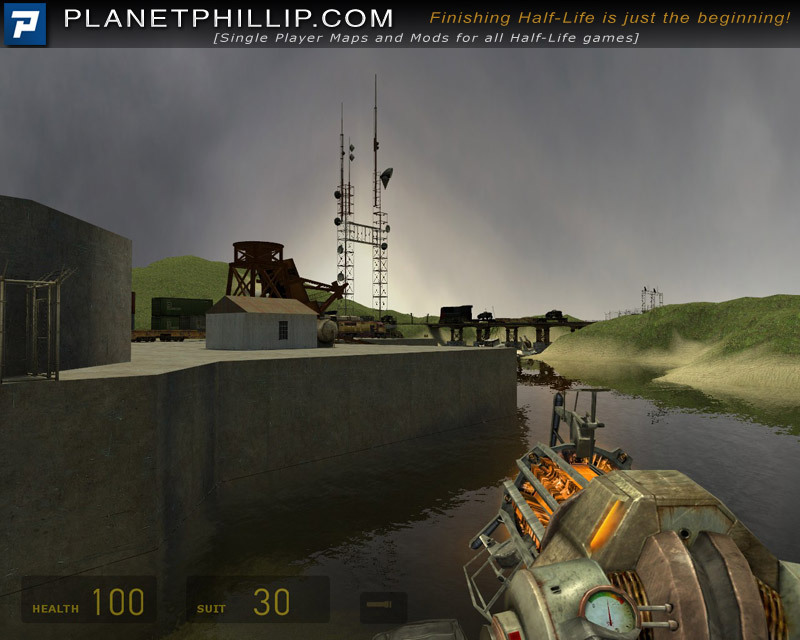 I like maps without combat, but this one is an exception I think, while this map is well designed and quite different from others, still it wasn’t fun. I can’t have fun without a good story, so this was it. Action lovers will enjoy this probably. I had to replay the level because there are two times you need to sue the crane and I only had one point saved. I added two other saves. One to show you how easy the last part before you level the area can be and the second just after the boat starts in case you had the same issue as andyb. I have to say that all the times I played it from my last save the boat got stuck and I dide, unless I jumped out of the boat. that’s all to say, cran part was funny but also very very annoying as my crane got stuck each fifth second. The text was far too much and too fast. I too have trouble with the game crashing when in the boat and after reading all the above I wont bother to finish it. Up till this point I was not that impressed any way, design was very basic with questionable scale in places, the magnet was ok but hardy original, the only point I enjoyed was throwing truck wheels at the Combine using the gravity gun, went back and did that sequence again just for the hell of it, see how many Combine you can roll over with one wheel. I got stuck at the crane control too and nothing I did would get me off of it. Wondering if left handed set-up might be the issue (changed use key to “Enter”. But I tried “E” as well and still no luck. Maybe switching it breaks some key bindings? No idea. I give up. Thankfully, I didn’t have any tech. issues as some did with this map. I did find it to be a refreshing ” vary from the norm ” with emphasis on accomplishing the task in a timely manner without actually having to fight your way through. 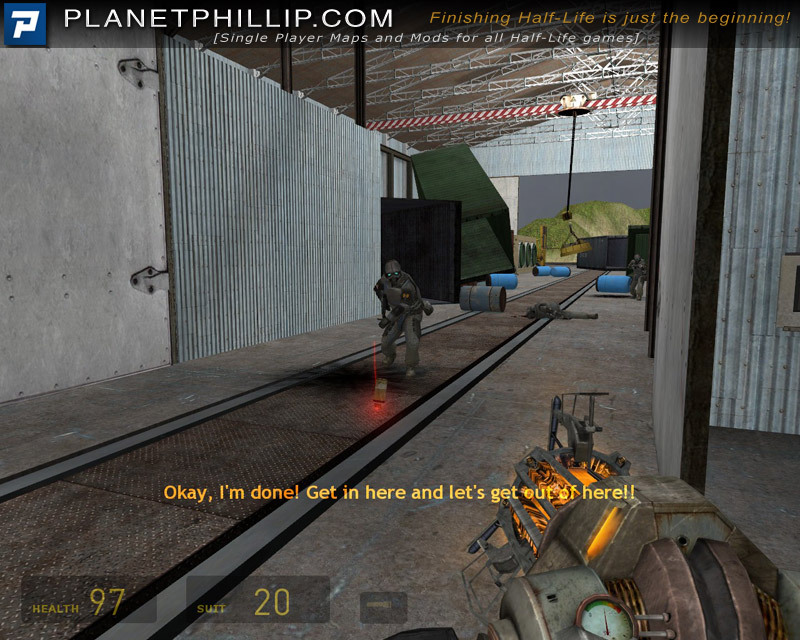 The goal wasn’t difficult but the map was set up as to make it plenty interesting to do. I still found myself geared for a fight at any moment and when the combine did burst in, I hung around for a half dozen ” tire ” kills. Fresh and imaginative. I am stuck to the crane, too. I even restarted so I could read the directions (too much text). I turned around, I pirouetted, nothing. (I did manage to pick up the chair?) I got “attached” to Mr. Whirly in R&D, too. 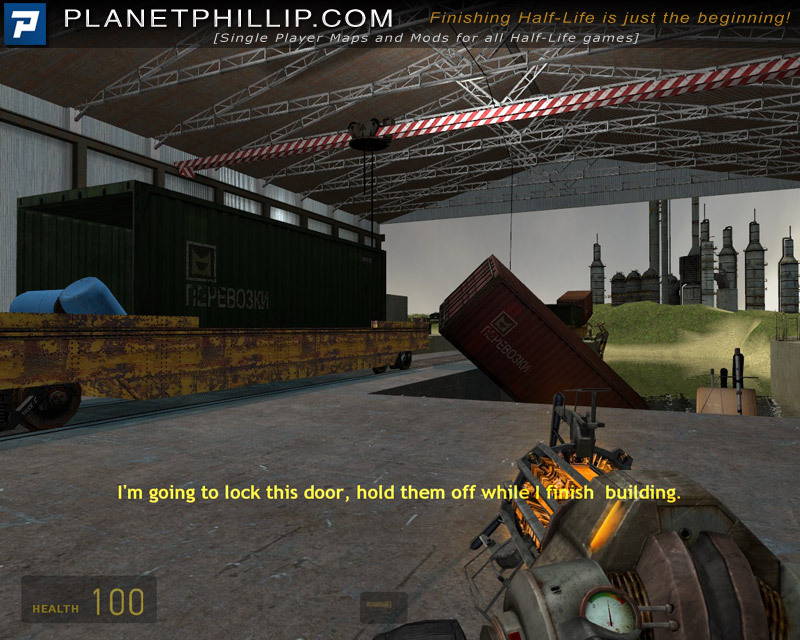 There should be a similar command available to disattach you from the crane. 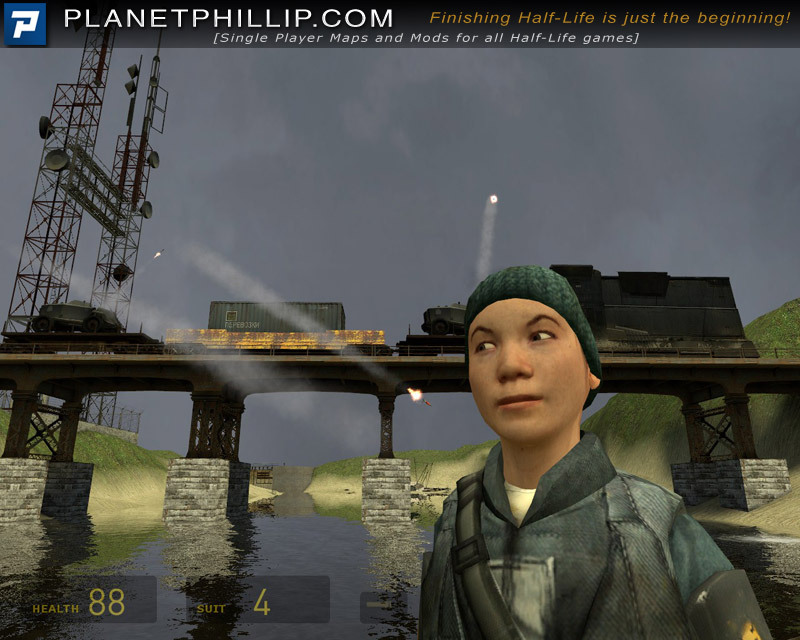 Apparently this is the sequel to a map called sp-downthedrain but I can’t find that map. I like this map. It doesn’t try to be something huge or amazing, it just tries to be something fun, which it is. 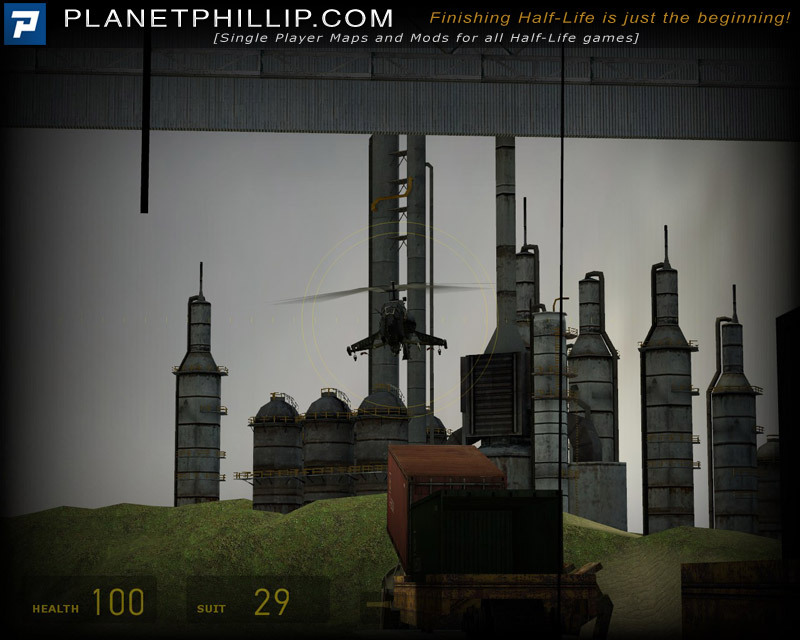 The main focus of the map is the crane. You have to move some stuff around then the real fun part comes in. An onslaught of Combine break in through the wall. You have to fend them off using the crane. This is super fun to do, especially since you can do that thing where you spin it around and around and it gains momentum. Then you escape on a boat. 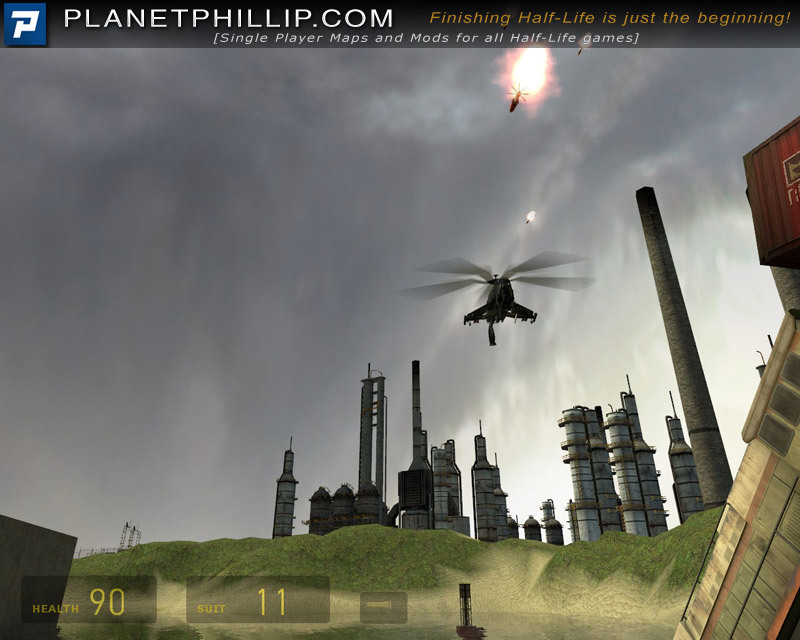 With a mounted rocket launcher. This would be better if there was more stuff to blow up but it’s still fun. This is a short but (as I’ve said many times in this review) fun map. I would recommend it. It’s a concept map involving a crane, if you read that and cringed you probably won’t like it. I had some fun throwing stuff around and killing Combines, but the crane kept getting stuck on objects which got pretty annoying. The last part you really don’t have to shoot anything with the rockets and you’ll get by just fine. It’s pretty cool to have a rebel who’s an actual character working with you, and not just shooting stuff like most rebel helpers do. It’s a concept map, some will love it and others will not. It didn’t really push me either way. Hmm not really my cuppa tea this one and I like cranes. I thought the ideas were really neat but it didn’t work out well (not for me anyhow) plus the text was a little too quick to disappear. This is one of those maps I see most people love, yet I shrug my shoulders wonder if it’s just me or maybe you lot lol. I’m glad I played it but I came away unimpressed.